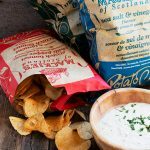 Introducing Mackie’s of Scotland Crisps (chips), which are new to Canadian store shelves and sharing my favourite quick, easy and delicious horseradish chip dip recipe. Disclosure: This post is sponsored by Mackie’s of Scotland Crisps. As always, all opinions are my own. 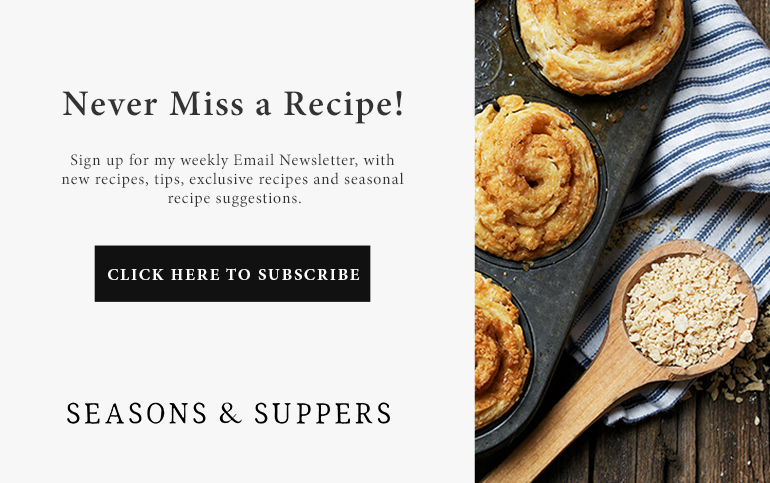 Thanks for supporting brands that support Seasons and Suppers! 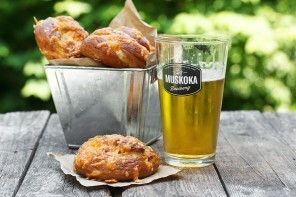 We Canadians may not have just enjoyed a long weekend, but here’s something that we can enjoy. 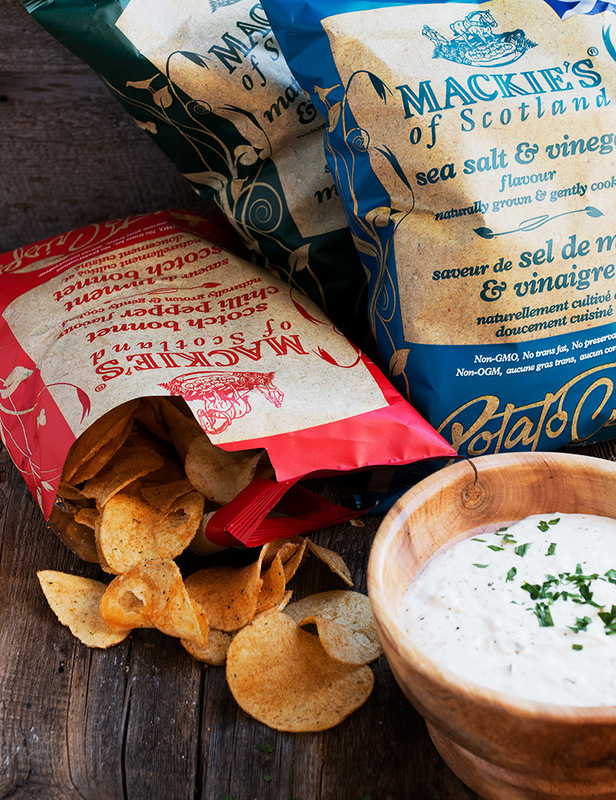 Mackie’s of Scotland award-winning crisps (aka ‘chips’, here in Canada :), are new on Canadian store shelves! 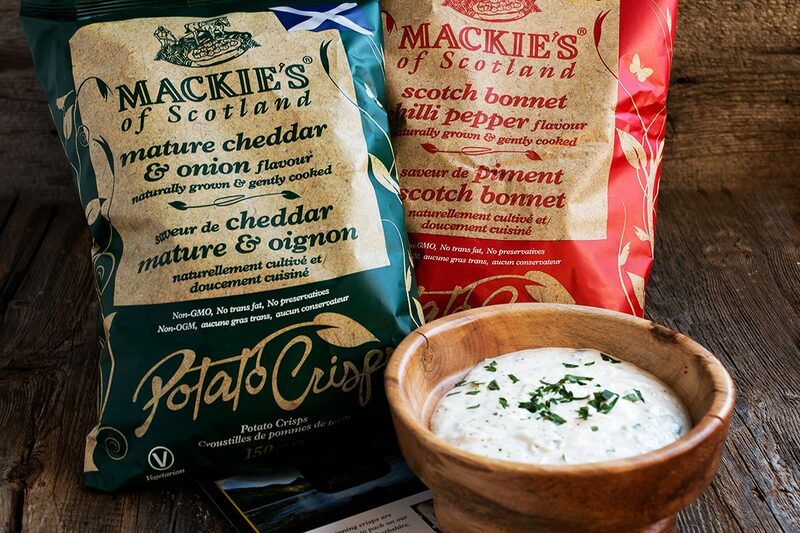 Mackie’s of Scotland crisps are now available on Canadian store shelves in a wide range of traditional (such as Sea Salt and Vinegar) and not-so-traditional flavours (hello Haggis and Cracked Black Pepper!). 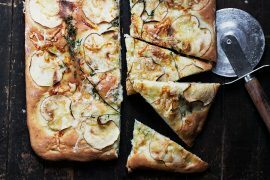 I think you’ll love that all of their potatoes are naturally grown, using the best varieties for crisping. Their seasonings, too, are all natural, with no artificial colours, flavours or preservatives. They are also non-GMO and trans fat free. What really sets Mackie’s of Scotland Crisps apart though is their distinctive texture and taste, that’s produced using a unique gentle cooking method which protects the flavour and quality to ensure a great crunch, fresh potato taste and dry texture. So what you’ll taste is the potato crisp, and not the oil! Look for Mackie’s of Scotland Crisps in these great flavours: Mackie’s Mature Cheddar & Onion Crisps, Sea Salt & Vinegar Crisps, Crispy Bacon Crisps, Sea Salt Crisps, Flamegrilled Aberdeen Angus Steak Crisps, Haggis & Cracked Black Pepper Crisps, Scotch Bonnet Chilli Pepper Crisps, Honey Mustard Crisps, Tangy Tomato Crisps. You can learn more by visiting the Mackie’s of Scotland Crisps website, or check them out on Facebook, Instagram or Twitter. Look for Mackie’s of Scotland Crisps at Farmland, select Foodlands, Bruno’s, Bloor Street Market, McEwan, FarmBoy, Nature’s Emporium, Denningers, and Organic Garage. I can’t begin to tell you how hard it was to keep these crisps in tact while I prepared this post. My husband asked me daily if they were ready for eating yet :) Yes, he’s a chip lover! So when it finally came time to taste these chips, he was quickly all in. We started with the Scotch Bonnet Chili Pepper Crisps. 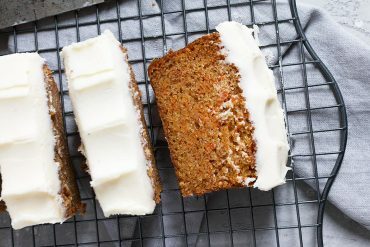 These are definitely where spice lovers should start! Great flavour. We also sampled the Sea Salt and Vinegar and the Mature Cheddar and Onion. Both of these more traditional flavours were fabulous. I loved both the flavour and texture of these chips. These Mackie’s of Scotland crisps are obviously great on their own, but they also pair beautifully with other flavours. 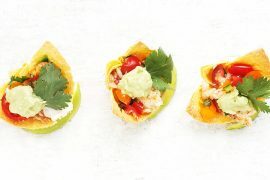 So for a little “Crispinspiration” I thought I would share my favourite quick, easy and delicious chip dip recipe. 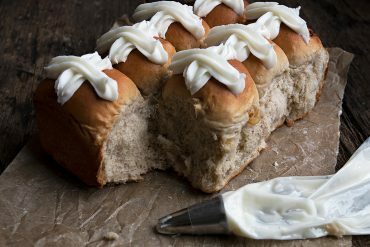 This Horseradish Sour Cream Dip has been a favourite for years, both for it’s great flavour and it’s ease of making. I always have sour cream and horseradish in my fridge, so a little bit of dip is always at hand. This Horseradish Chip Dip was great with all the chip flavours, but was especially lovely with the Mature Cheddar and Onion! My favourite quick, easy and delicious chip dip! You can adjust the amount of horseradish to your taste or depending on how hot your particular horseradish is. Keep refrigerated. 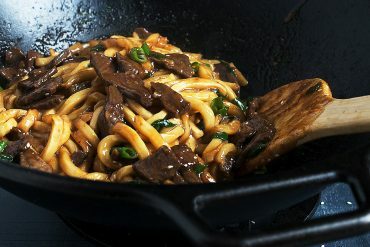 Combine all ingredients in a bowl and stir to combine. Enjoy! We were at Farm Boy on the weekend and searched out Mackie’s chips. We bought the white cheddar and chive and came home to make the dip. The dip was great and I enjoyed the chips. They were lighter tasting, crisp, yet soft to bite and crisp at the same time. They reminded me more of a baked potato chip…which is my preferred type. (I must confess popcorn is my snack of choice). I will definitely purchase again and serve with your dip recipe. I love chips (maybe a little too much). So many flavours here, but Haggis? I’d definitely try it though ;) I’ll have to look out for these next time I’m at the grocery. That dip sounds so good too. I love the spicy kick of horseradish – bet that dip is awesome with those chips. I’m pretty sure I’d eat a whole bag with that dip, lol :D Is it Friday yet?? Why have I never seen these crisps on the shelves here in the States?! Clearly I need to be on the look out, because all the flavors sound delicious! Besides, BBQ season requires all the chips n’ dip! Love your horseradish sour cream dip, Jennifer! I’m a huge fan of horseradish, so I know I could devour a gallon of that! Cheers, friend! 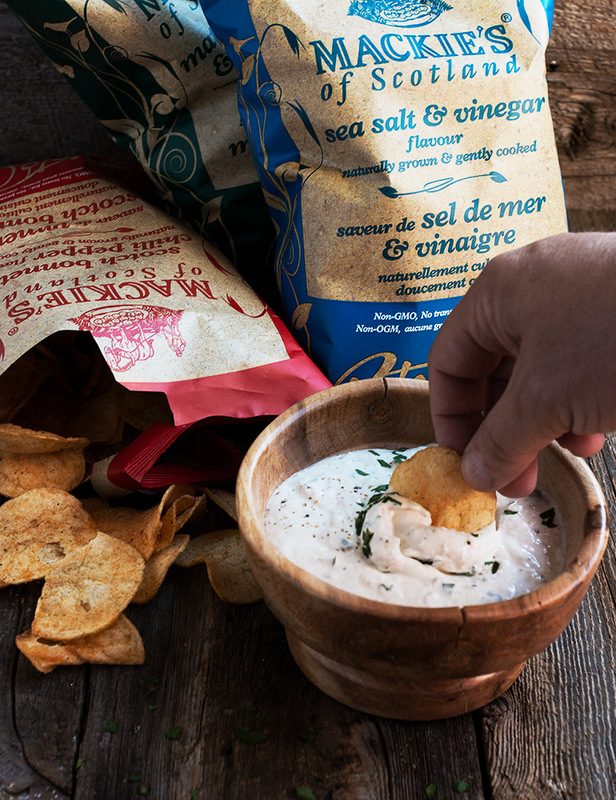 What addictive chips and your horseradish dip sounds like the perfect pairing! I will have to buy a bag of these, Jennifer. I have seen them while out shopping, but didn’t stop to investigate what they were all about. Sure didn’t see the haggis ones. I think I would’ve avoided those at all costs! Hahah! Thanks for the great dip recipe! I need each one of these creative flavors in my life, except maaaaaaaybe the haggis! Do they sell these in the States? I didn’t get a chance to try the Haggis crisps :) I imagine they must, Sue. Their website says they are available in over 20 countries. Those crisps sound delicious Jennifer. I can’t pass up a good dip and a handful of chips! I just love it when chips are called crisps! Living in the UK (Northern Ireland) as a teenager I was all about crisps for snack every day:) Health wise they have come a long way – these look and sound amazing. I love your horseradish dip! Thanks Milena :) That dip has served me well over the years. Seems to go well with just about any chip! And speaking of crisps, these crisps were just that (crisp, I mean ;). Loved them and especially all the great flavours! 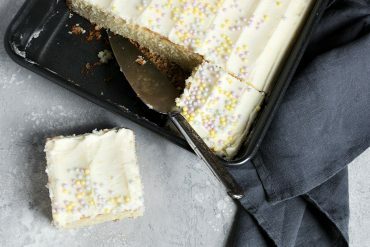 Your husband sounds like mine – always asking when it’s is okay to eat – haha! Love the sound of these chips! 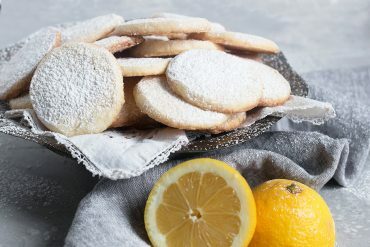 They look great too – and that dip recipe is perfect. I am a big fan of horseradish and can eat it on anything and everything. Thanks Jennifer! Thanks Tricia and yes, he was particularly annoying with these chips ;) He’s certainly been enjoying them the last few days!